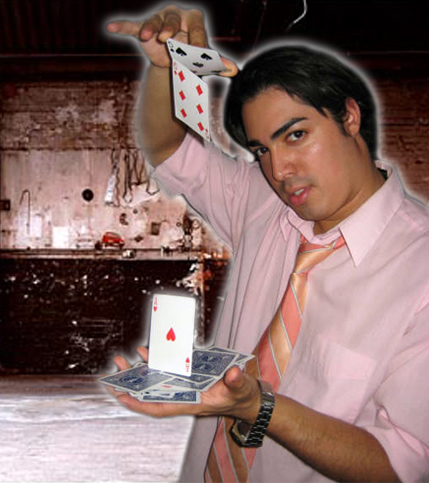 If you are looking for some entertainment to fill in time at a corporate banquet or a strolling magician in a cocktail environment then look no further than Diego. Diego has performed for many celebrities and Fortune 500 companies in some of the most exclusive venues in the North America. Between courses of a meal to keep guests entertained while they wait. Cocktail parties to get the awkward silences away and give your guests a mutual topic of conversation. Wedding entertainment while the Bride & Groom are getting there photographs taken.